Music education nurtures, supports and inspires artful learning through creative expression. 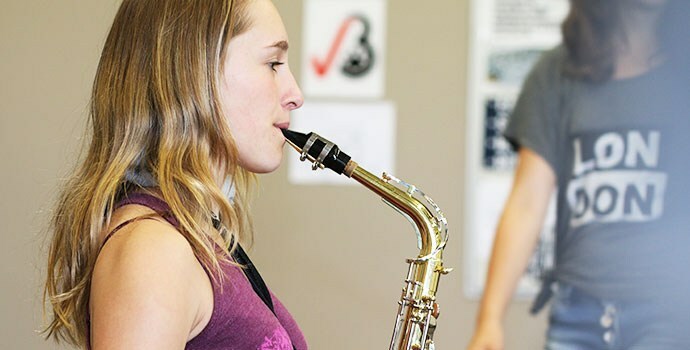 Our students develop an understanding of music language and practice their performance skills by showcasing their talents locally, provincially, nationally and internationally. The types of programs we offer are based on community needs and traditions. Many of Sunrise’s students participate in music programs such as choir, middle school/senior high band, jazz band/ensemble, jazz choir, guitar, hand bells, drumming and dance.